Stainless steel effect satin finish. The perfect finishing touch for top mount base profiles from the Frameless Pro glass Balustrade range. 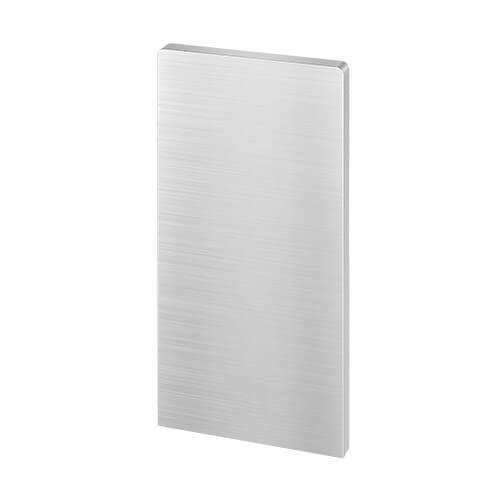 Manufactured from aluminium with a stainless steel effect finish, suitable for both indoor and outdoor use. Applicable for both left and right. 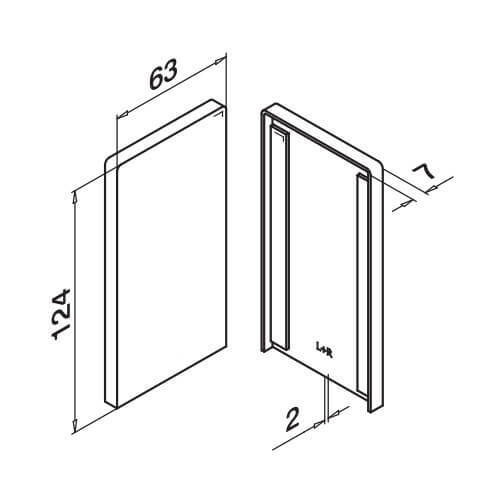 Ensure the end of your base profile is clear of dust and debris, simply remove the protective film from the double-sided tape on the back of the end plate and press firmly into position. Top Mount Base Profiles - Frameless Pro Glass Balustrade. Inner Corner Base Profiles - Top Mount Frameless Pro Glass Balustrade. Outer Corner Base Profiles - Top Mount Frameless Pro Glass Balustrade. End Plate for Stairs - Top Mount Frameless Pro Glass Balustrade.